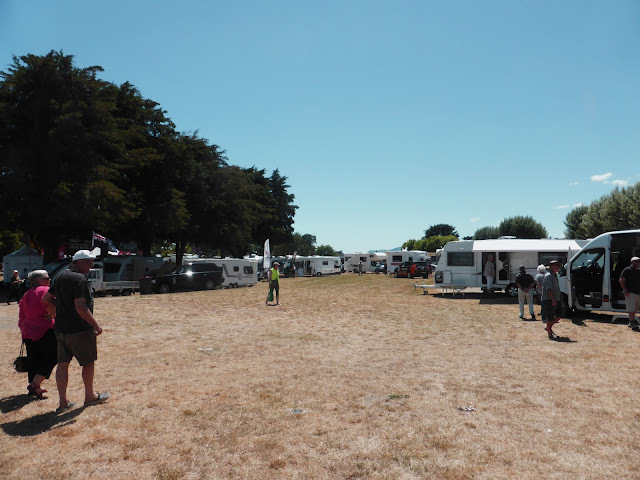 Heslop Motors held a Motorhome Display today at Tahuna motor camp. Nelson put on a gorgeous summer's day for it and a large crowd attended. It was a $5 entry fee which included a raffle ticket. 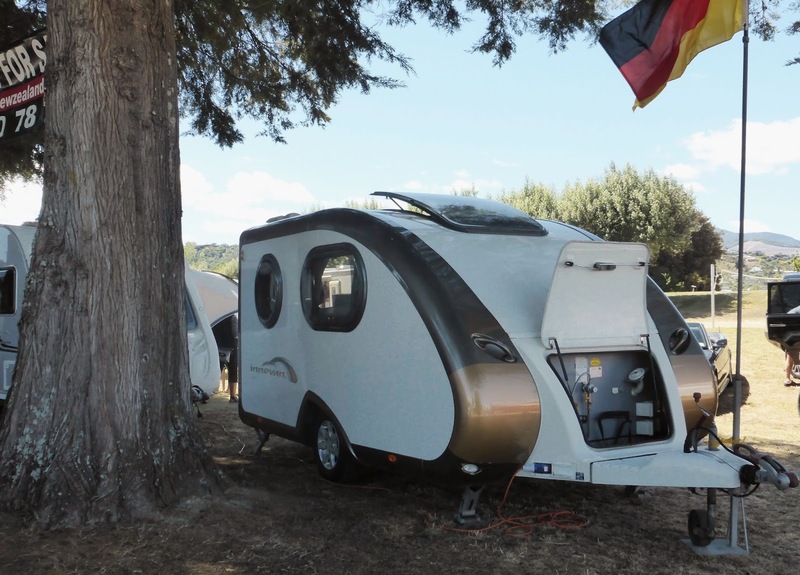 We had a good look around, through some buses that were for sale and through a variety of brand new caravans and motorhomes. Unfortunately there was only one fifth wheeler, it was for sale and was smaller than our one. This attracted a lot of attention. 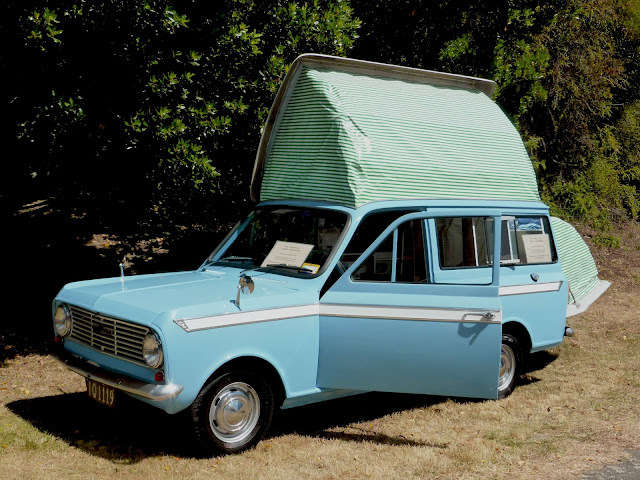 It's a 1971 Bedford Roma Dormobile. It was found in a local barn and recently restored to as close as possible to the original condition. 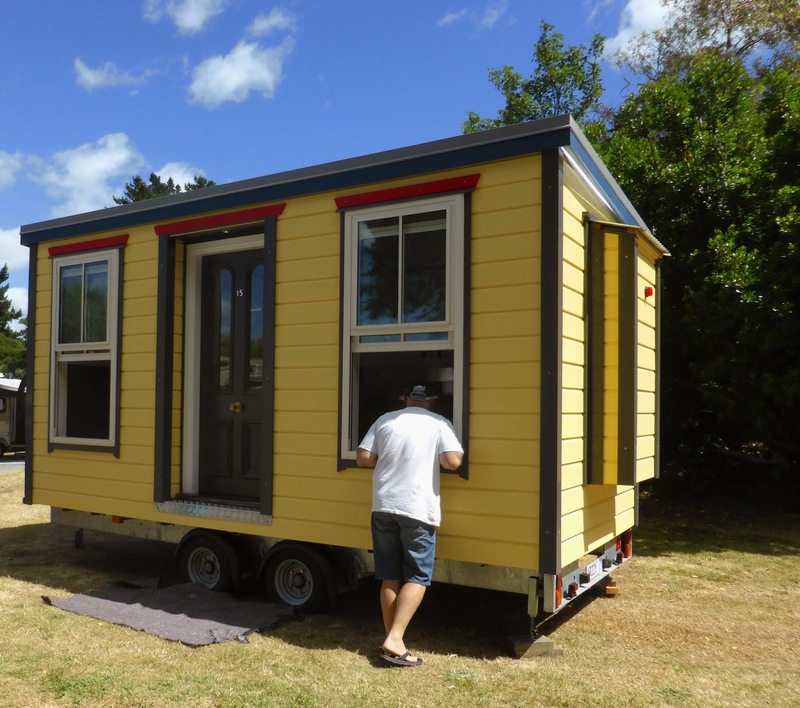 There aren't many of these left in the world, and this may possibly be the only one in New Zealand. Another very tidy Retro caravan for sale. It was surprising to see that it had a horseshoe shaped lounge suite at the front (which converts to a double bed). 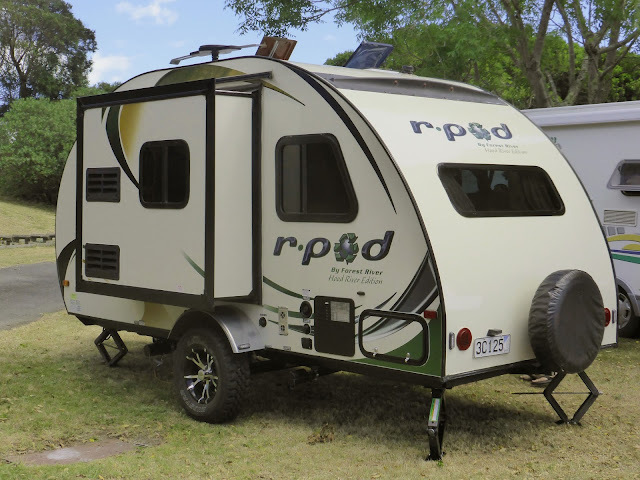 The pop out contained the kitchen and at the rear was a set of bunks.